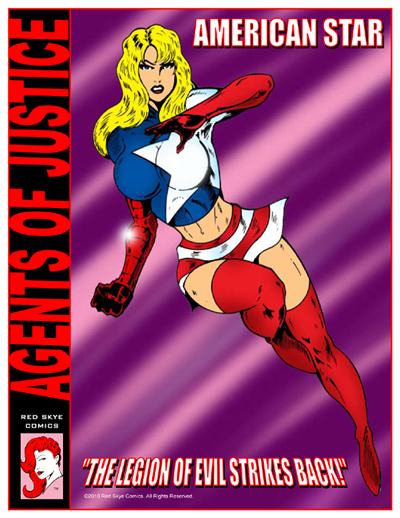 Agents of Justice: American Star featuring Nicole Hampton is 20 pages with full color cover and b/w interior art. About Nicole Hampton: Hi, my name is Nicole Hampton. I am a published model, aspiring actress and on-air personality for Fox sports. Right now I'm in school for Broadcast Journalism but want to continue modeling and build my future around television, modeling and acting. Sponsor the Nicole Hampton Model Page - You Can Donate Any Amount!